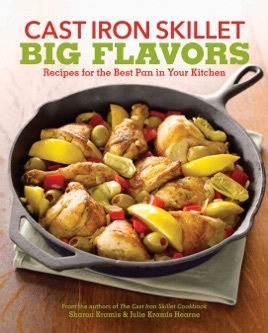 The cast iron skillet is the ultimate cook’s tool. For cooking the perfect steak or handling a fillet of wild salmon, it’s sublime. For roasting vegetables it makes the seamless transition from stovetop to oven to table. Upside-down cakes and other sweet treats just turn out better in cast iron. 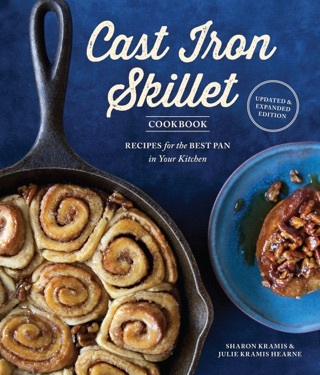 Following up their successful Cast Iron Skillet Cookbook (2004), Sharon Kramis and Julie Kramis Hearne bring a whole world of spices, herbs, and preparations to their new cookbook that’s all about big flavors. Here are spice rubs, new ingredient combinations, and a few kitchen tricks to spice up anyone’s cooking repertoire. Here is possibly the best steak in the world—a seared rib-eye with truffle butter and smoked blue cheese; a wonderful tamarind glazed crab, sizzling shrimp with smoked paprika; caramelized fennel, shallot and pear tart; and a spicy raw apple cake that plays up the best of the fall harvest. 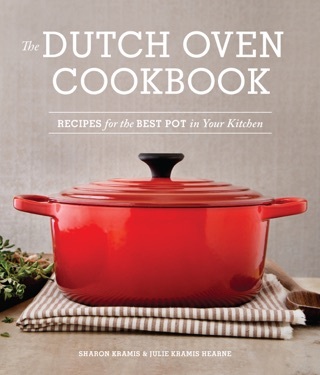 The recipes from these authors are sophisticated but easy, not fussy. They work, and the results are delicious. This is home cooking at its best.